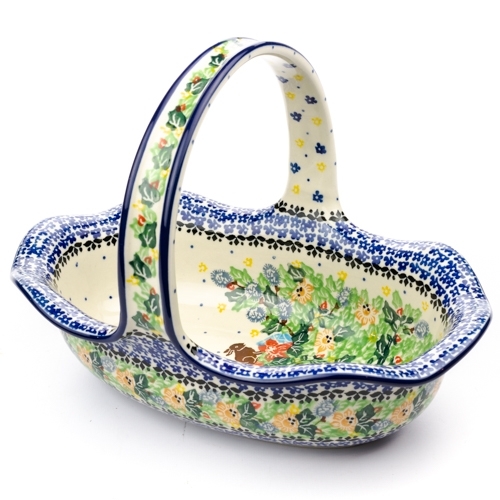 Beautiful Easter pattern basket. 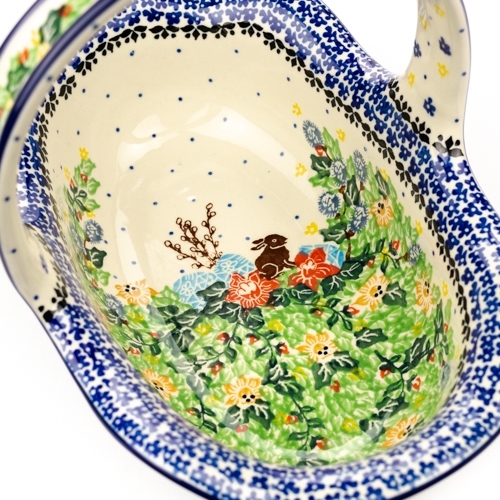 Size is approx 8" H x 11" L x 7.5" W.
Pattern designed by master artist Wirginia Cebrowska. The artist has been connected with the Artistic Handicraft Cooperative "Artistic Ceramics and Pottery" since 2001. Since 2010 she has been a pattern designer. Unikat design U3091. Size is approx 8" H x 11" L x 7.5" W.